The International Pacific Halibut Commission (IPHC) completed its Ninety-third Annual Meeting in Victoria, BC, Canada on 27 January, 2017. More than 200 halibut industry stakeholders attended the meeting, with approximately 80 more participating in web broadcasts of the public sessions. The Commission approved a season of March 11th to November 7th 2017, for the U.S. and Canadian quota fisheries. Seasons will commence at noon local time on 11 March and terminate at noon local time on 7 November 2017. Our Day Boat Direct Alaskan Halibut is the jewel in the crown of our seasonal Springtime offerings. With direct Alaskan flights and priority overnight shipping avenues, we guarantee the freshest Halibut with the longest shelf life. 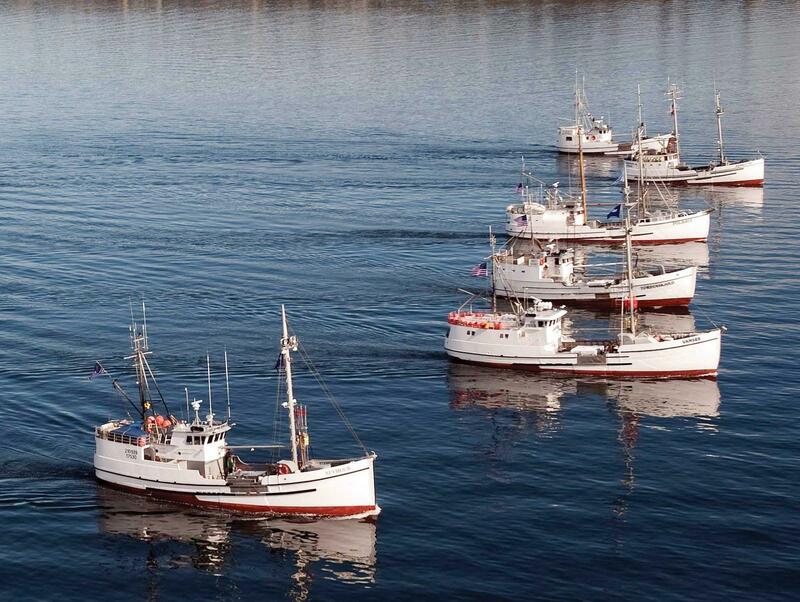 The Seafood Producers Cooperative focuses our supply from the celebrated “2C” fishing grounds. The 2C quota has been set for a total commercial catch of 4,212,000 lbs of Alaskan Halibut this season and we are your direct source for this one of a kind opportunity. We have “Air Fish”. This accelerates the shipping to offer unsurpassed freshness and the big fish when the smaller fish will not suffice. 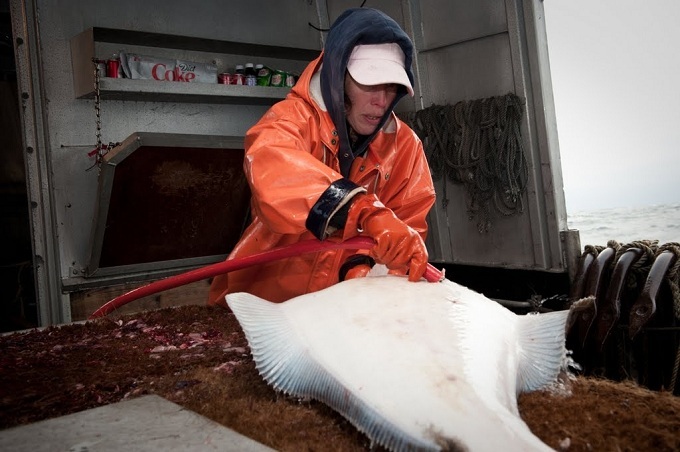 When offloaded at the docks, the Halibut puddle jumps to L.A. where the whole fish are repackaged with fresh cold packs for a same day shipment to the restaurant. SeafoodS.com offers expert fabrication and has some of the tightest trim available in commercial wholesale distribution. Along with Alaskan Halibut, SeafoodS.com can build a perfect “Menu Box” with some of New Zealand, Australia, Tahiti, Japan, and California’s greatest seafood options packed alongside your Halibut order. This is an exceptionally creative advantage and is available to our customers throughout the season. With Halibut fulfilling your shipping weight, it’s an easy way to try species that you have underutilized in the past. Accompany Halibut on your menu with a phenomenal New Zealand King Salmon (Seafood Watch “Best Choice”) for a consistent Salmon preparations, New Zealand Tai Snappers for whole fish presentations, Australian Hiramasa for sashimi, Tahitian Yellowfin Tuna for grandiose appetizers, New Zealand Groper for an elevated “Grouper-like” experience, New Zealand Cockles for a stunning pasta, Pacific Oysters for an elaborate raw bar, Saltwater Barramundi or Tahitian Albacore for unique lunch offerings, Japanese Madai and Hamachi for all things sushi, Spanish Turbot for your coveted Prixe Fixe wine/beer/whisky dinners, and many more available items including grass fed butter, Uni, Wagyu, Crab, Lobster, Loupe de Mer, Opah, Swordfish, Black Cod, and Ling. The world is opened to you in a single call. The best of Alaska meets the best of the world in a single shipment. Delivered to your restaurant in a single day. Ultimate quality to the last single fish of the season. Make room for this unique opportunity this Spring and beyond. Secure your program this week. Categories: MARKET UPDATES | Tags: 2017 Halibut Season, Alaska, Alaska Fish and Game, Alaska Fisheries, Alaska Fishing, Halibut, halibut fishing, halibut menu, IPHC, Northern Halibut, Northern Pacific Fishing, Pacific Northwest | Permalink. The International Pacific Halibut Commission (IPHC) completed its Ninety-first Annual Meeting in Vancouver, BC on January 30, 2015. More than 250 halibut industry stakeholders attended the meeting, with over 75 more participating in web broadcasts of the public sessions. The Commission is recommending to the governments of Canada and the United States catch limits for 2015 totaling 29,223,000 pounds, displayed in the following table by regulatory area. SeafoodS.com will be focused on “Air Fish” Halibut from Area 2C. However, with a committed community of partnerships, we will also have product available throughout the season no matter weather, quotas met, logistical difficulties, or supply deficiencies. Our primary goal is to be your Halibut supplier. Allow SeafoodS.com to get the King of Flatfish on your board this season. Season begins March 14th, 2015. We are counting the days. Categories: MARKET UPDATES | Tags: Air Fish, Air Freight, Alaska, Alaskan Halibut, Fresh Seafood, Halibut, International Pacific Halibut Commission, Northern Halibut, Pacific Halibut, Pacific Seafood, Quality Seafood, Restaurant, restaurant menu, seafood, Seafood Chef, Seafood Ordering, Seafood Restaurant, SeafoodS.com, sitka, Sitka Sound | Permalink.